Playland’s amusement park in Vancouver is open from May to September, with peak attendance during the PNE in August. 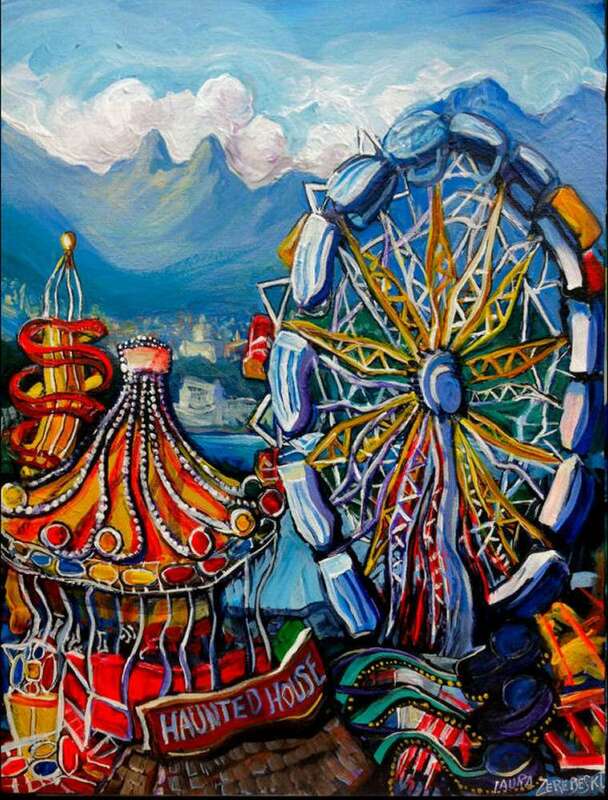 This painting shows a pre-2000 view of Vancouver’s Playland. The ferris-style ride is called “The Enterprise” along with the old Merry-Go-Round, the Octopus, the Haunted Mansion, and some rockety ride that was later replaced by the Hellevator. I painted this all cramped and bright and dizzy, which is how you experience it as a kid when everything is urgent and bright. Located at: Private Collection (SOLD).